Is it time to part with your trusty Dodge? If so, then you have come to the right place. We buy all Dodge models fast, safe and fair. We will buy your Dodge cars, pick-up trucks and minivans regardless of their age, mileage or condition. We will even buy your classic, vintage Dodge including the Polara, Regent and Superbee models. Dodge vans, whether cargo or passenger vans, are also welcome. We are experts when it comes to buying all kinds of used Dodge vehicles, and are committed to making your experience as pleasant as possible. Our customer service team and valuation specialists are honest, experienced and helpful, and will provide you with a fair offer after inspecting your vehicle. When determining your Dodge value, we will take any additional features such as audio equipment, custom paintwork and leather interiors into consideration. Scrapes, scratches, dings and dents, or mileage well into six figures – none of it matters; we will buy any Dodge. Enter your vehicle details into our 60 second quotation system to get started. 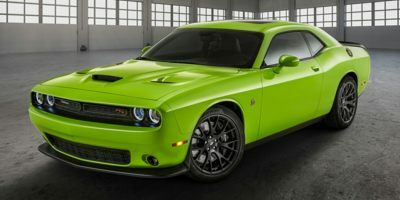 Started in 1914, Dodge is a division of the Chrysler Group, and manufactures a full line of cars, vans, minivans, SUVs, pickup trucks and commercial vehicles. For years, the Dodge Charger was one of the most popular muscle cars in the United States. After Chrysler’s 1998 merger with Daimler-Benz, the newly formed DaimlerChrysler dropped their Plymouth brand and expanded Dodge so that it became both their performance and low-price division. Dodge is perhaps best known worldwide for its Ram truck division.